The Connect To… series are career-focused classes that are appropriate for native or non-native English speakers. 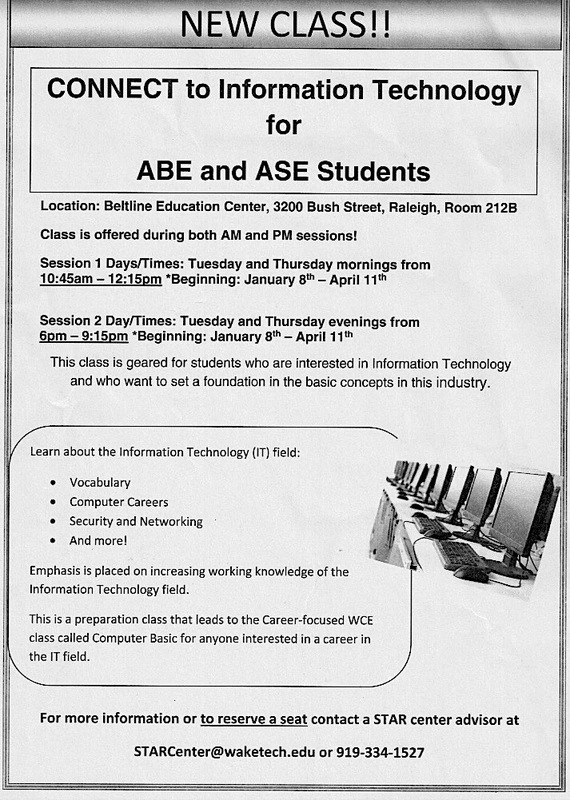 These classes are for ESL students that are currently in ABE Levels 3 or 4 or in ASE. 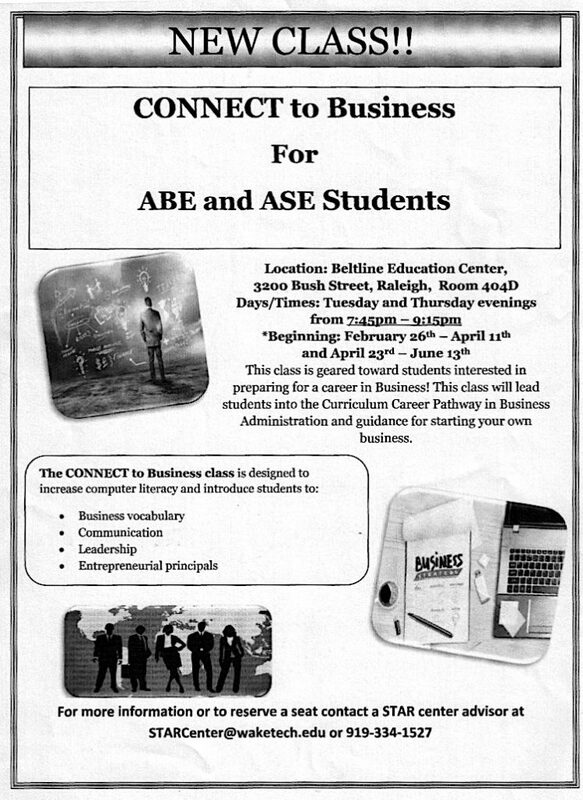 The following are being offered in the Spring. 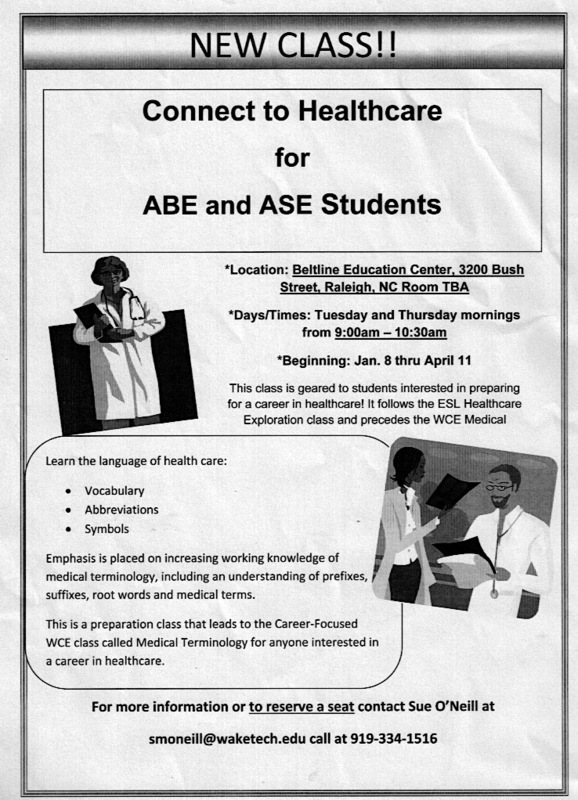 Please refer to the flyers for details on class descriptions, times and locations.